Evening phone: Often the same, unfortunately. This caricature was created by my friend Mel. White. Silly, isn't she? What I do, mostly, is games. My company is Steve Jackson Games, which is 30 years old as of 2010. Here's a brief personal biography and bibliography. It's a decade or so out of date; in my copious free time, I should polish this up. A few links for my other interests . . . The home page for the Artemis Society International, working to return to the moon through private enterprise. The Mars Society. "To further the goal of the exploration and settlement of the Red Planet . . ."
The Alcor Foundation. Cryonics. Yes, when I die, I'm going into the freezer, and I just might be back. The Science Fiction and Fantasy Writers of America, which, having gotten past a period of dreary internal backbiting, is now providing some genuine services for SF writers. 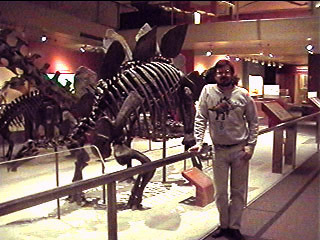 The massive and neat web site of the University of California at Berkeley Museum of Paleontology. My own Dino Hunt game. Now out of print, but WOOT! this was a fun project. The really incredibly beautiful Austin Pond Society pages. Pete's Pond Page, for pond and fish fans. 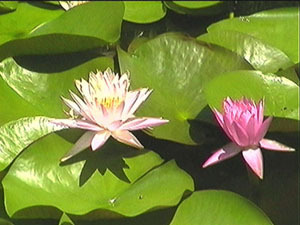 The International Waterlily and Water Gardening Society page. Includes some live camera links. 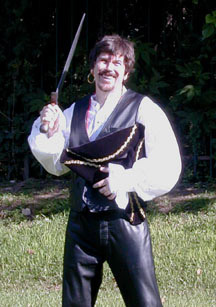 The rules to my Pirate Game are online. My Pirate Ship Otaku Page . . . information only another Lego Pirate geek would care about. What I have learned about making sails for Lego-style ships. My want list . . . wanna trade? (Yes, BrickLink now provides an efficient marketplace, so one-on-one barter is no longer the easiest way to get extra bits of Lego. Three cheers for BrickLink! BrickLink is a well-organized host site for THOUSANDS of little Lego stores. Need a weird part? Need a hundred weird parts? Look here first. RailBricks is a magazine for the Lego train modeler. The SJ Games site is almost as old as the Web, and sometimes it seems almost as big and full of Stuff. Check out our various manifestations of High Weirdness and sideways applications of web technology to gaming. Marvel at the time we wasted, and gleefully continue to waste, on the Basement of Warehouse 23! My friend Jackie Hamilton, a.k.a. Kira, a perl/CGI coder, author, graphic artist, and web designer. She's responsible for the look of the SJ Games site and much of its functionality . . . as well as the look of THIS page. Puzzle Pirates. A cool multiplayer online game. Arrrr!